The City received its name in the mid-1800s when it was considered a ‘garden spot’ in the newly developed Minnesota territory. Established in 1858, Eden Prairie remained a sleepy pastoral village until the mid-1900s when the additions of Flying Cloud Airport and Highway 494 put the City on the map, bringing thousands of homes and businesses to the area. Since then, the population of Eden Prairie has grown to more than 60,000 and the number of businesses has multiplied to more than 2,200. With a multitude of award-winning restaurants, a super-regional shopping center, top-ranked schools and a myriad of entertainment and lifestyle options, it’s no wonder 98 percent of residents rate the quality of life in Eden Prairie above average. Whether you come for a visit or stay for a lifetime, the City of Eden Prairie is a welcoming community with a thriving economy, and is truly a great place to Live, Work and Dream! 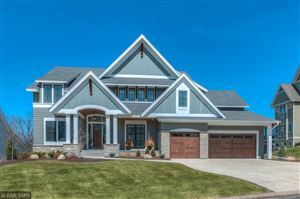 Check out some of the great Eden Prairie Homes for Sale below!